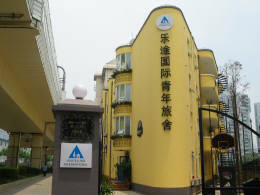 Le Tour Shanghai Youth Hostel is a simple and clean bed & breakfast hostel in the heart of Shanghai. 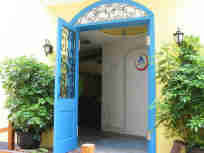 With plenty of public transport links nearby, it makes a practical base for sightseers. 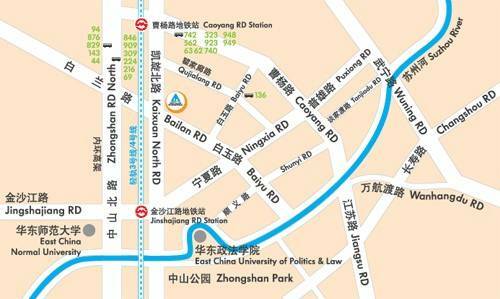 We are within walking distance of East China Normal Univercity, East China University of Politics & Law, Suzhou River, Zhongshan Park, 5 minutes walk to 2 subway stations (Line 3 and Line 4) and over 20 bus lines passing by. 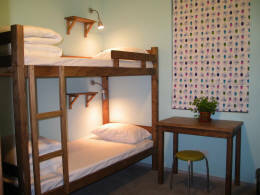 We have double, twin, four and six bed rooms available . Every room has air-conditioning and all shared rooms have secure lockers. 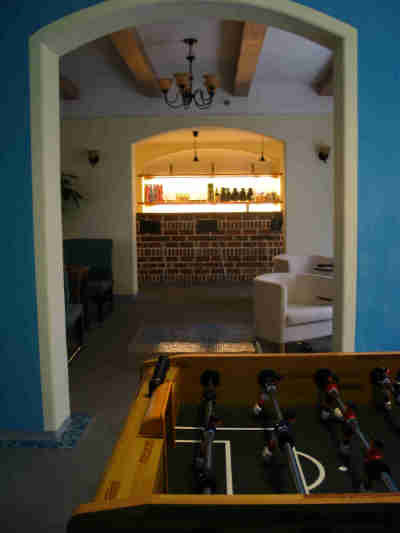 On the first floor, we have a bar, an entertainment room, a mini-gym, a reading room and a sitting room. 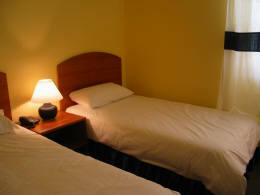 We have a friendly atmosphere and very clean accommodation. From Pudong International Airport , take airport shuttle bus Line 6 to Zhongshan Park; transfer to Line 3 or Line 4 to Caoyang Road; walk 5 minutes (along Kaixuan North Road to the south). From Shanghai Railway Station or Shanghai Coach Station, take Subway Line 3 or Line 4 to Caoyang Road; walk 5 minutes (along Kaixuan North Road to the south). Every room has air-conditioning and all shared rooms have secure lockers. Caoyang Commercial Center, With plenty of public transport links nearby, it makes a practical base for sightseers. We are within walking distance of East China Normal Univercity, East China University of Politics & Law, Suzhou River, Zhongshan Park, 5 minutes walk to 2 subway stations (Line 3 and Line 4) and over 20 bus lines passing by. From Pudong International Airport , take Maglev to Longyang Road; take Line 2 to Zhongshan Park; transfer to Line 3 or Line 4 to Caoyang Road; walk 5 minutes (along Kaixuan North Road to the south).